Can bathtubs and kitchen countertops be refinished? 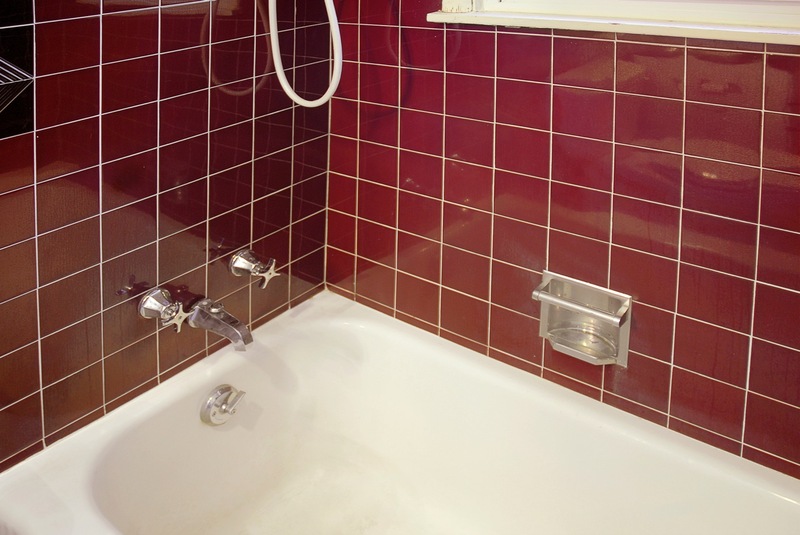 Although bathtub refinishing has been around for over 30 years, there are still many consumers who are just now learning about the beauty and affordability of refinishing instead of replacing bathtubs, countertops, tiles, and vanities. Whether a surface is worn, discolored, damaged, hard to clean, or simply an outdated color, Miracle Method can repair and refinish that surface to a gorgeous new look. Surface refinishing by Miracle Method is durable and guaranteed. Before: Checkerboard tile was dated and hard on the eye. After: Refinished countertops are beautiful and durable! Before: Bathtub was worn and difficult to clean and homeowners were tired of maroon tile. 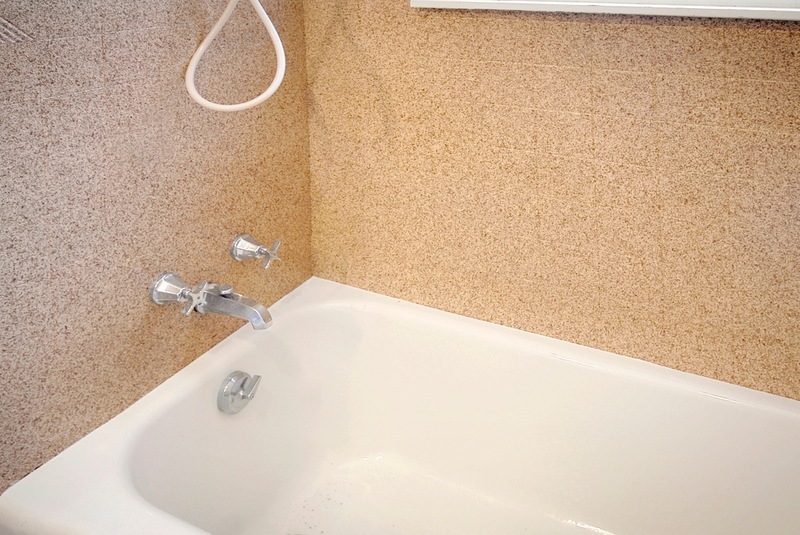 After: Bathtub was given a glossy new finish and tile has an updated, Natural Accents® stone-look finish. For more information about Miracle Method’s surface refinishing services and the types of surfaces we can refinish, we invite you to visit our website. If you would like to speak with a Miracle Method surface refinisher, use our online locator or call 855-212-7337 to find the Miracle Method franchise closest to you. I’m selling my home. How can I update my kitchen? Updating your kitchen is a great way to make your home more appealing to potential buyers. Ugly, outdated, and damaged countertops can turn away prospective buyers and even kill a sale, so it’s important to make sure your kitchen is in good shape before you put your home on the market. Remodeling may initially come to mind, but it’s a lengthy and costly process. You need a solution and you need it fast! 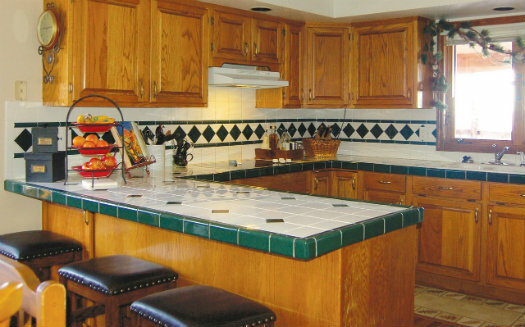 Miracle Method’s surface refinishing is a great way to bring your kitchen into the present in just two to three days, at a fraction of the cost of remodeling. Our professional refinishing services can restore your countertops to a like-new look and feel whether they are tile, laminate, or Corian®. With dozens of colors to choose from, matching your decorating plan is a breeze; and if you like the look of stone, you’ll love our amazing Natural Accents® finishes. Before… the countertops and backsplash were in need of a serious update. Visit the Miracle Method website today to learn more about how we can help you update your kitchen before you put your home on the market. If you’re ready to speak with one of our Miracle Method professionals, please use our online locator or call 855-212-7337 to find the franchise nearest you. I accidently burned my countertop with a hot pan, what can I do? You’ve just prepared a great meal for your family, but as luck would have it, you accidentally burned your countertop with a hot pan when you sat it directly on the countertop. You were hoping to update your kitchen, but with all your other expenses and today’s economy, a full remodel just isn’t financially possible. You could replace your countertops, but that’s expensive and very time consuming. Using a DIY kit to paint your countertops also crosses your mind, but you’re afraid the end result will look streaky and amateur. Then you see an ad for surface refinishing, and you realize Miracle Method offers an affordable and attractive solution to your problem. Miracle Method’s countertop refinishing process will restore your existing countertops to a like-new look and feel in just two days. 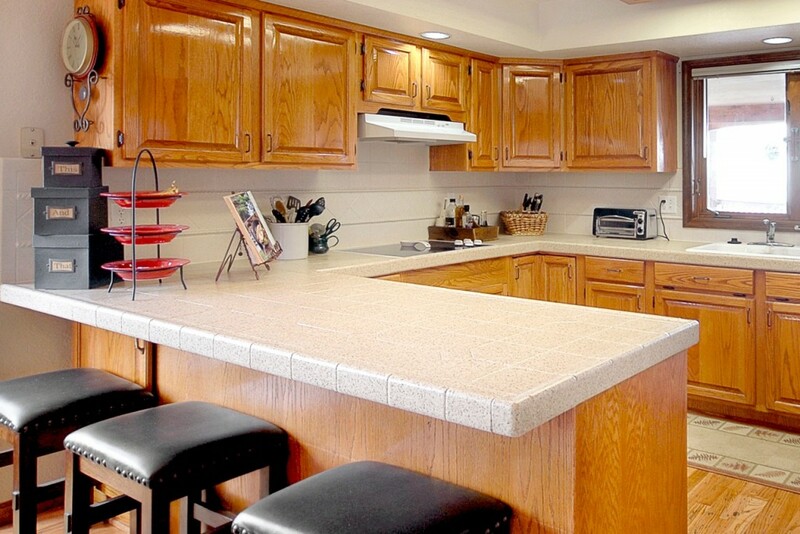 Our process involves applying a hard, durable acrylic coating to your existing countertop surfaces. 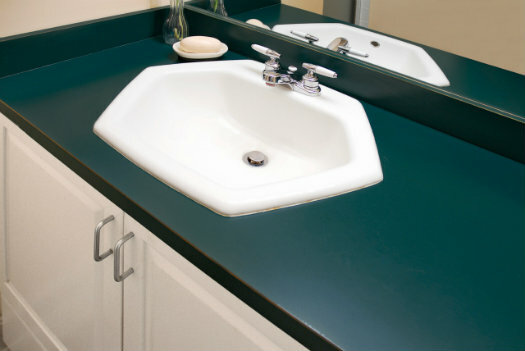 We can refinish tile, laminate, Corian®, and even cultured marble vanity surfaces. Scratches, chips, and that awful burn mark can be repaired. 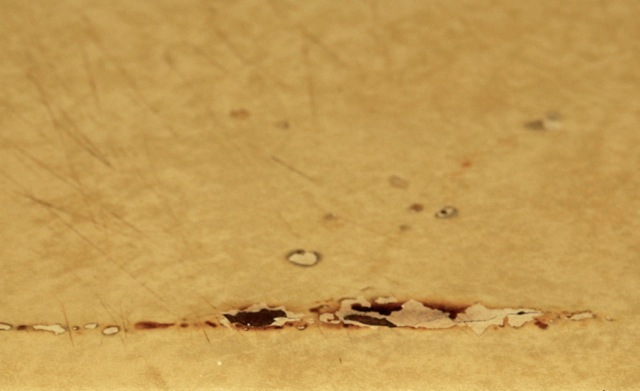 Our work is guaranteed, and unlike new surfaces, can be repaired should another unfortunate burn occur. Choose from dozens of our Natural Accents™ stone-look colors and textures… your kitchen will have a new designer appearance and you’ll be glad you saw that Miracle Method ad! 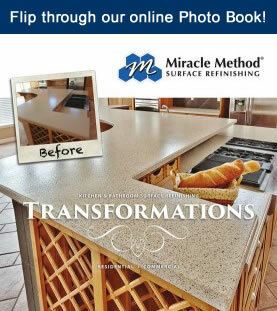 Visit the Miracle Method websiteto learn more about our countertop refinishing services. If you’re ready to refinish with Miracle Method, use our online locator to find the franchise closest to you, or call 855-212-7337. My vanity is UGLY, what are my replacement options? Whether your vanity is old and outdated, damaged, or just plain UGLY, you know you have to do something about it. An ugly vanity can be quite the eyesore in a bathroom, and it’s time to consider your options to restore beauty to the smallest room in your home. Replacement is one option, but because replacement requires removing the old vanity, possible replacement of the surrounding wall tile or covering, plumbing work, and then installing the new vanity, replacement could be a rather costly and messy solution. The good news is there’s a much more affordable option – have Miracle Method refinish your bathroom vanity. Our process will save you up to 75% over removal and replacement and is a great option for laminate, tile, or cultured marble surfaces. 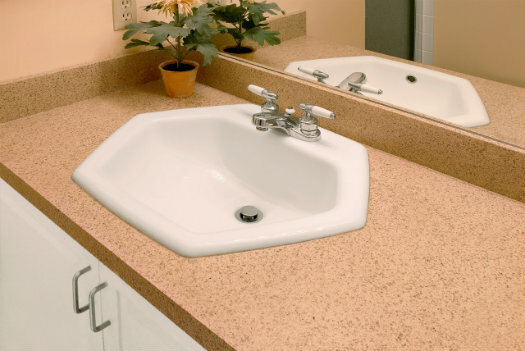 We can even refinish your sink… and the entire job will take less than two days! The Miracle Method refinishing process can extend the useful life of most bathroom fixtures and surfaces 15 years or more. The process includes the repair of any damage, so you’ll have a bathroom vanity that looks and feels like new! Additionally, we have lots of color and texture options available for bathroom vanity refinishing. You’ll be amazed by our beautiful Natural Accents stone-look finishes, which give a designer appearance to your bathroom vanity. Why deal with the hassle and expense of replacing your ugly old bathroom vanity when you can refinish? Visit the Miracle Method website to learn more. You can use our online locator to find the franchise closest to you, or call 855-212-7337. What if I damage my refinished countertop? Can it be repaired? Refinishing is a great way to extend the usable life of your countertops, and for a fraction of the cost of replacement. As Miracle Method uses the most technologically advanced coatings available, our finishes are able to stand up to daily use. However, as with any man-made surface material, refinished surfaces can be chipped, cut, or burned by accident or abuse. 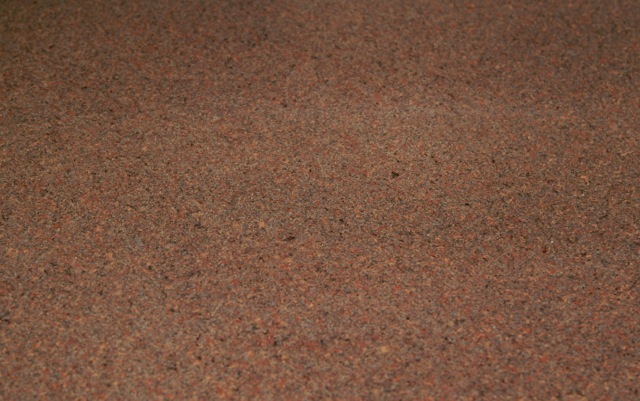 The good news is if damage occurs after your countertop is refinished by Miracle Method, it can be repaired. Miracle Method can repair damage on a countertop that’s previously been refinished and make it look like new once again. Once your countertops have been repaired and refinished, we suggest that you follow our very basic care and cleaning instructions to avoid future damage. Before…a close-up view of a damaged kitchen countertop. After…Repaired and refinished with Miracle Method’s Natural Accents stone-look finish. Looks like new! Do you have countertops that have previously been refinished, but need the Miracle Method touch once again? Use our online locator or call 855-212-7337 to find the Miracle Method franchise closest to you. Visit our website to learn about our other refinishing services.